The tri-services of defence in India stand unique in their own way, which can be seen in their uniform, battle strategies or rank designation. But also, did you know Army, Navy, Air force differ even in the mannerism of their salute? Before we get to the how and the why of it, let’s visit the past to see the origin of salutation. Salute is a gesture of respect or polite recognition. But in defence force it is more inclined towards the former than the latter. However salute is not for an individual but for the uniform and the designation of the officer concerned. According to the US Army Quartermaster school, hand salute was a long established military custom for the soldiers to remove the headgears in the presence of the seniors but this being a tedious task at times, this act was gradually converted into simply touching the visor and bowing during early 1740’s by a British order then it evolved to become a conventionalized modern hand salute that we see now. 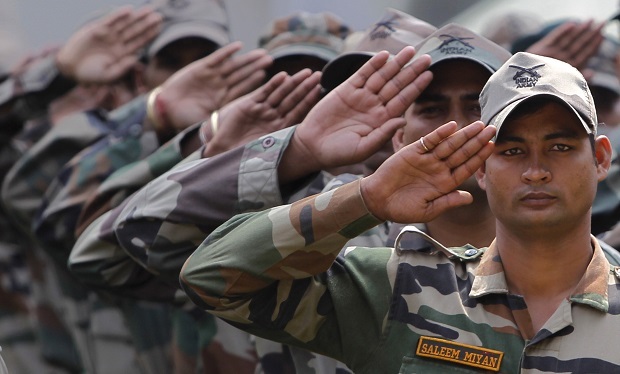 The continued tradition of salute by Indian defence was a hand down knowledge by the British army. And now here’s as to why the difference in the saluting mannerism. How: The personnel doing a hand salute displays an open hand with fingers and thumb together and the middle finger almost touching the hatband or eyebrow. 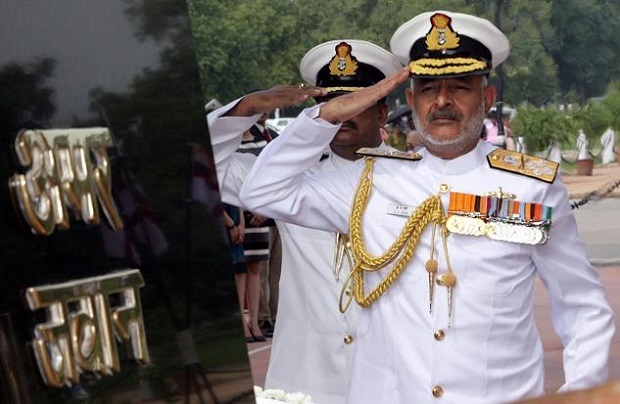 Why: Armed forces work in hierarchical fashion so as to keep everyone in conscious of who the commanding officer is especially in a war where lapse of order can result to disaster thus the salute comes in picture as a reminder. Also the salute proves that the person saluting has no bad intention and has no hidden weapons. How: Tilting hands as the palm faces the shoulder being 90 degree to the forehead, keeping it side to the face just below the cap. Why: In olden days as the sailing crew with all hands on the deck were often exposed to grease, oil stains and dirt. To avoid disrespecting their superiors the saluting was done with palms facing the ground. Though the pirate days are behind us the tradition of salute is still carried on. How: The hand with open palm at 45 degree to the ground is mid way between the Army and the Navy salute. 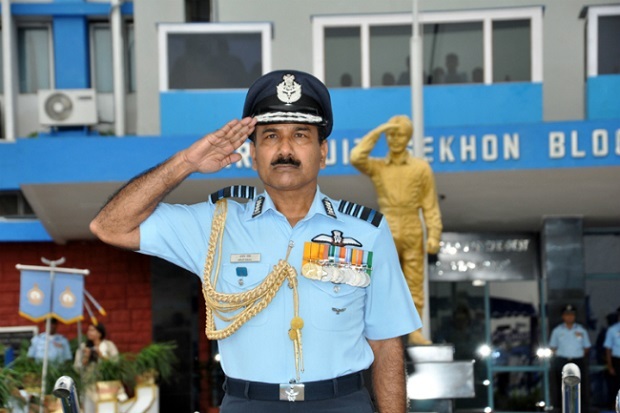 Why: Earlier the IAF and the Army shared the same gesture of hand salute. But to set themselves apart the Air force issued this new salute norm in March 2006.